If you’re looking for really great Intermediate Microsoft Excel 2016 training you’re in the right place. Companies large and small choose us – why? Your own tailored, Intermediate Excel 2016 training course, at your own premises at the same price as a standard course from elsewhere. 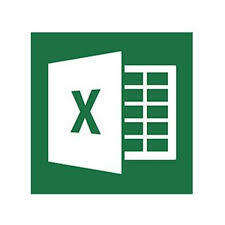 Our Microsoft Excel training courses London, are available not only in London, but Surrey, Middlesex, Richmond, Twickenham, Hounslow, Kingston, Woking, Reading, Croydon, Epsom, Banstead, Brentford, Putney, Wimbledon, Staines, Egham, Feltham, Farnham, High Wycombe, Crawley, Sutton, St Albans, Fulham – in fact anywhere within the Home Counties and M25 corridor. We have Microsoft Excel trainers in Twickenham, Richmond, Ashstead, Lightwater, Ascot, Central London, New Barnet, Ilford, Surbiton, Slough, St Albans, Bushey, Crowthorne, Basingstoke, Whiteley, Little Torrington, Wembley, Nottingham, Taunton, Doncaster, Immingham, Edinburgh, Sunderland, Leeds, Thatcham, Cardiff, Watford, Wallington, Littlehampton, Romford and Bolton! If you are based within 30 miles of any of these locations we would not charge travel expenses for the trainer. We can still provide Microsoft Excel training courses outside these areas but would then need to charge for the travel expenses of the Excel trainer. If you are new to Office 2016, you may also be interested in our Office 2016 upgrade training, workshops and floorwalking. These will quickly get you up to speed in the major changes and new features within the Microsoft Office 2016 suite. Visit our blog If Only I’d Known That,; we have called it that because we hear it so many times in training sessions. In fact, if only we had an extra £100 for every time someone says “If only I’d known that.” …. There are many useful hints and tips about using Microsoft Word on the blog; why not visit it to find out how many you knew! This course aims to give delegates a greater understanding of MS Excel 2016. Familiarity with the Windows environment, and a basic knowledge of Excel. We provide Microsoft Excel training courses, Microsoft Office training courses, other IT training courses and Personal Development training courses in London, Richmond, Twickenham, Kingston, Hounslow, Brentford, Putney, Kingston, Wimbledon, Walton-on-Thames, Chiswick, Teddington, Hampton, Feltham, Acton, Ealing, Heathrow, Egham, Staines, Reading, Croydon, Epsom, Banstead, Hanwell, Sunbury, Hammersmith, Fulham, Greenford, Clapham, Chertsey, Woking, Weybridge, Wandsworth, Middlesex, Surrey, the M25 corridor, High Wycombe and beyond. We will travel further if expenses are covered.